Recently I tried out the Frozen Ever After Dessert party. It was a while back that Disney World re-themed their Illuminations dessert party to a Frozen themed event and I hadn’t tried it since they changed it. If you’ve been a regular reader here at Living by Disney then you probably know I’m not a huge fan a dessert parties. While nice, they aren’t usually my top choice for value for the price and experience. But they are a good option for some guests. We’ll talk about who would get the most value and why Frozen Ever After is my personal favorite of the various dessert parties offered at Disney. It’s located in World Showcase just before you get to Mexico, with a private seating area on the water. Seating is assigned, so there’s no need to line up early and try to get a certain table. Smaller parties will likely be sat with others. It seemed like the tables sat a minimum of four people each. All of the tables had a great view of the show. There were some closer to the water than others, but overall, every table had an unobstructed view since everyone stays seated for the show. It’s kept fairly small, with a good sized seating area along the water, so it feels very private. It begins one hour prior to the start of the show. They seat you and you have free access to the buffet. The food and beverages were arranged in stations with different Frozen characters representing each table. First up we have Kristoff’s table that offered the non-desserts. It featured fresh fruit, flatbread, and a warm cheese fondue served with bread cubes and broccoli. The cheese fondue was delicious and really helped break up all the sweets. Anna and Elsa’s table was the main desserts, that offered blue velvet frozen cupcakes, macarons, and a few other small sweet treats. The cupcakes were alright, more fun for kids. The macaron cookies were my favorite. There was also an adult beverage with a bartender. They made a wide assortment of drinks that were good and quite strong. My favorite was the blue sangria. These are all unlimited and included with the party. Olaf’s Hot and Cold treats section had some of the most delicious options. Warm cakes topped with ice cream and a fun mousse that they freeze with lots of fun smoke effect before topping it with sprinkles and chocolate sauce. An hour was plenty of time to go back and enjoy all the food and drinks you want. Then the show started. The view for the show is really great. I don’t think any table would have a bad view, even though some may be closer to the water than others. With everyone sitting it’s easy to see. Once the show is done, Epcot is officially closed. Everyone from the party lines up and is escorted to the Frozen Ever After ride just a little way down the World Showcase in Norway. Since the park is closed, you walk right onto the ride. We were even able to choose what row we wanted to sit in. Is Frozen Ever After Dessert Party Worth it? This event gives you access to two of the big Must-Do things at Epcot: Frozen Ride and Illuminations. So if those are two big ones you want to check off your Epcot list, then this event can be a great way to do that. Frozen Ever After can get long wait times, and can also be hard to grab a FastPass for, especially if you didn’t get access to that 60-minute booking window. So doing this means you won’t have to worry about the lines and can use that Fastpass for another of the Epcot big attractions like Soarin or Test Track. Illuminations isn’t a hard show to see, but if you’re visiting at a busy time, or if you really want to grab prime viewing then you’ll be grabbing and holding down your spot for at least 60-120 minutes. So this event would also save you that waiting time, plus allow you to watch the show from the comfort of a table and chairs. A nice perk at the end of a long walking-filled day. It’s also a super cute event for any Frozen movie fans as the theming of it is so well-done. It’s not a great value for people that can’t eat much (or any) dessert, ones that aren’t that fussy about their view of Illuminations, or people that don’t care to ride Frozen. 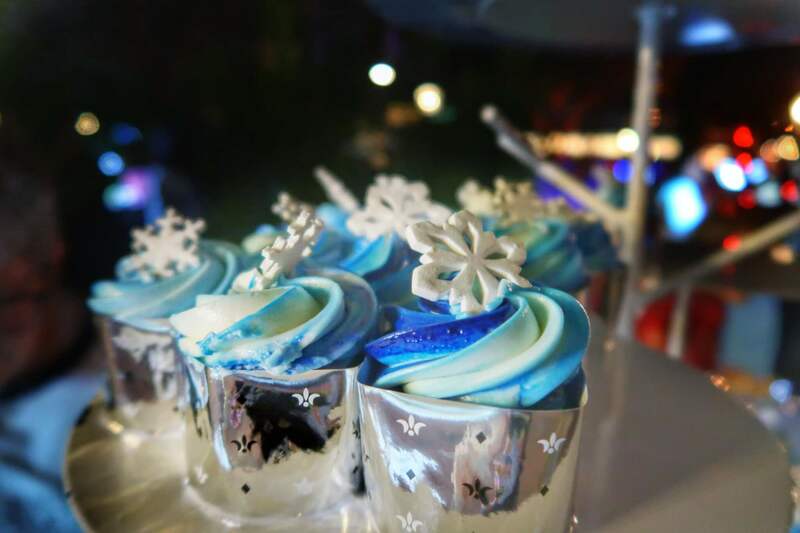 To book the Frozen Dessert Party check Disney’s official site here. And as always, follow along with me on Instagram as I share real-time tips and reviews of everything at Disney World. And get on my free email list for weekly updates of everything you’ll need to know to plan an amazing Disney World vacation. Disney World’s Incredible Summer Begins!